Spa Oceana is the ultimate multi-sensory capsule for all body treatments and hydrotherapy services. Envelop your clients in the healing power of water and perform body wraps, slimming and detox treatments. With the healing power of water, the 240 litre hydrotherapy tub incorporates 22 powerful underwater massage jets and colour therapy. Perform your body wraps, slimming and detox treatments on the treatment platform utilising steam, infra-red, ceramic dry heat, multiple water massage jets and aromatherapy. The Spa Oceana also features state of the art audio and DVD functions to further enhance a holistic relaxation and wellbeing experience. Chrysalis Medispa offers an invigorating and blissful collection of skin, face and body care treatments while enhancing the best traditional spa services through Spa-Oceana Hydrotherapy. Hydrotherapy is the therapeutic use of water in its different temperatures and physical states, such as water, steam and ice. The Spa Oceana will help to relieve aches and pains. It will also assist the body in eliminating waste, stimulate the body’s metabolism and boost the immune system. 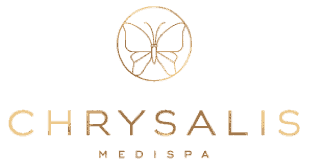 Chrysalis Medispa treatments offer an overwhelming, relaxing, sensory experience and a feeling of total well-being by incorporating muds, seaweeds, gels, wraps, masks, sprays, salt glows and extracts from natural sources in a high-tech environment capsule. All products, equipment and treatments available for reducing the appearance of cellulite and slimming the body may be complemented and improve with Spa Oceana treatments. Effective cellulite reduction and slimming can only be performed by vigorously increasing circulation, stimulating metabolism, detoxifying and eliminating excess fluids. Body wrap treatments eliminate impurities through exfoliation and the application of products containing essential oils, herbs, muds, clays, seaweed or algae. These natural ingredients are rich in vitamins and minerals and help replenish lost nourishment in dry, damaged or ageing skin. With the added boost of an effective heat and hydrotherapy treatment, these products will leave even the most damaged or congested skin fresher’s, cleaner more hydrated and glowing with health. The skin is our body’s largest organ. Healthy skin acts as a protective envelope for the body and is vital to maintaining overall health and beauty. Anti-ageing treatments are dramatically enhanced with Spa Oceana. The intensive hyperemia, moisturizing, toning, improved elasticity and total skin nourishment provided by hydro fusion, stimulated the development of collagen, creating a soft, youthful skin texture. By combining the relaxing, steady warmth and stimulating hydrotherapy experience with seafood or mud applications, the absorption of the anti-ageing and detoxifying ingredients is greatly heightened, leaving the skin supple and glowing.